Does eating junk food effect a mothers child? 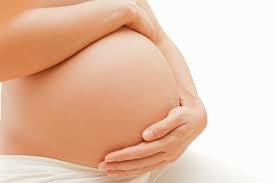 Women who are pregnant are overwhelmed with joy in having the opportunity to have a child. While being pregnant 9 months, women tend to crave an immense amount of junk food. Little do they know that a diet consisting of junk food while carrying a child is extremely harmful towards the newborn. A study that was published in the Federation of American Societies for Experimental biology journal found that the babies of mothers who had a poor diet have minimal feeling to opioids and have a higher chance of overeating junk food. The mothers who ate more junk food interfered with their child’s ability to correctly answer to opioids and led them to eat more foods high in sugar and fat to receive a “good feeling”. An unborn child only receives the nutrients the mother puts into her body and depending on the diet children “good feelings” will vary. If the child relied on junk food, sugar, and fat to receive nutrients that is what they will need and crave when they are born, and soon as adults. If a mother primarily eats junk food while pregnancy it is not the end of the world, and there are ways to avoid children being addicted to junk food. In order to stop this from happening the child will need to maintain a healthy diet post birth. Although there are ways to avoid obesity and junk food addiction in the child, they will always have a craving for the overconsumption of junk food. This study is observational because they are observing and analyzing diets of women who are pregnant and seeing the outcome of the child. This was done to help mothers and show them what are good and nutritious foods to eat while pregnant, not to scare them. Eating junk food once in a while and having portion control while pregnant is totally acceptable. 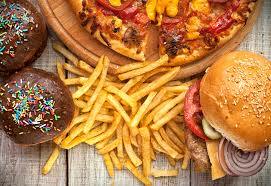 A consist diet of bad foods is not good for the child or the mother. Children can also have an increased risk at behavior problems like depression and anxiety from a mothers junk food diet during pregnancy. Researches from Norway and Deakin University watched over 23,000 mothers who were involved in the Norwegian Mother and Child Cohort study. The study recording the mothers diets from pregnancy to their child’s diets from the age of 18 months and 3 years. The mothers were also asked to take a survey about their children to see if there were any symptoms of depression, anxiety, ADHD, and more. As a result the study conducted showed that mothers who ate a junk food diet during pregnancy increased their child’s risk of having a behavioral disorder. A mother has to nurture her body with healthy good foods because what she eats is not only effecting her, it effects her baby. This post was really interesting – we all know that women crave certain foods during pregnancy, so it’s interesting to see how it affects the child after birth. In my psychology class, we learned that children can even develop a craving for certain drugs (such as cocaine or even cough syrup) if the mother takes drugs while pregnant. We learned that this even increases the chances of the child becoming addicted to the same drugs when he or she grows up. This article ( http://addiction.lovetoknow.com/wiki/Drug_Addiction_and_Child_Development ) explains this a little more in depth. Furthermore, I liked how you included large studies to support your arguments. Since you used such large studies, we know that the likelihood of chance is slim. This is a really interesting post. My cousin who we adopted last year, his mother was addicted to cocaine while pregnant with him. I am not sure if she used to drug while pregnant and how many times, but my cousin was born addicted to cocaine as well because he absorbed the same “nutrients” the she did when she used the drug. I found it interesting how something less sever than drugs, like fast food, can have the same effect on a newborn. I found your post interesting because its always talked about how diet can have a negative impact on pregnancy, but I’ve never really looked into it. Its especially interesting that the children have negative behavioral problems if the mother had a poor diet during pregnancy. This blog was really interesting for me to read because it is something that is definitely important but something people probably don’t think of- including myself. It is obvious that having a heathy lifestyle is important and something everyone should have but I never took into consideration the affects it could have on a child if their mother is pregnant. The most interesting thing I found while reading this was how it could increase the chances of the child having ADHD, depression, and anxiety. Having a current aunt that is only 2 months pregnant this is definitely something I would like to share with her. I further researched this and noticed that a website mentioned that eating heathy while your pregnant could reduce mood swings which is definitely a major key pregnant women go through. I took a class last year all about nutrition and I have to applaud you for mentioning that what pregnant women put in their body also feeds their baby. For example women should stay away from fish while being pregnant to reduce he risk of eating Mercury that could harm the baby. Your blog focused on cravings and becoming addicted to eating junk food. I do not want people to think that women should not be gaining weight while pregnant, they should. Moderation for any foods is key! I found an article that lists what exactly a women should be eating during pregnancy. It’s almost common knowledge that smoking, alcohol and drug use are bad for a pregnant woman to do because it could have consequences on the child, but I never knew that something as seemingly insignificant as junk food could have a similar effect. Seems interesting that the kids are at a higher risk for depression/anxiety if their mom eats junk food during pregnancy. Thanks for sharing! This blog post is a good one. You see more and more people coming out pregnancy diet books today. I always knew your diet while pregant had an affect on the baby, but I did not know what kind of affect it had. I was surprised to see the increase risk thing things like ADHD and anxiety. I thought it would lean more towards hear issuses and diabetes in the baby. This is a good blog with good sources. I’ll keep this in mind if my wife has a kid.